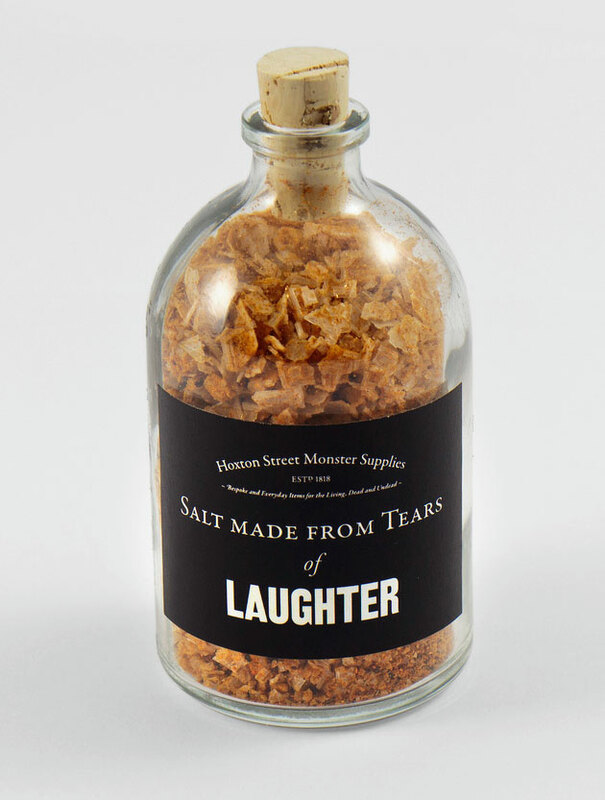 The latest product range from Hoxton Street Monster Supplies, Salt made from Tears, has just launched. 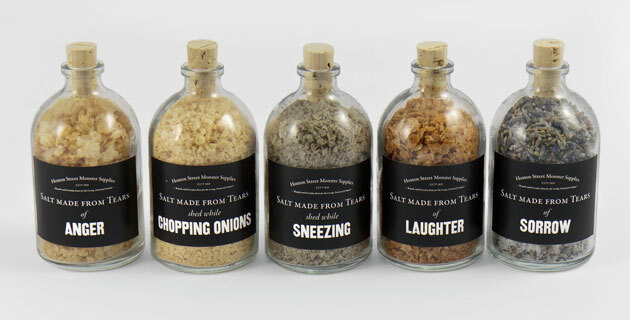 The salt is collected from humans experiencing a range of emotions, and in various situations. 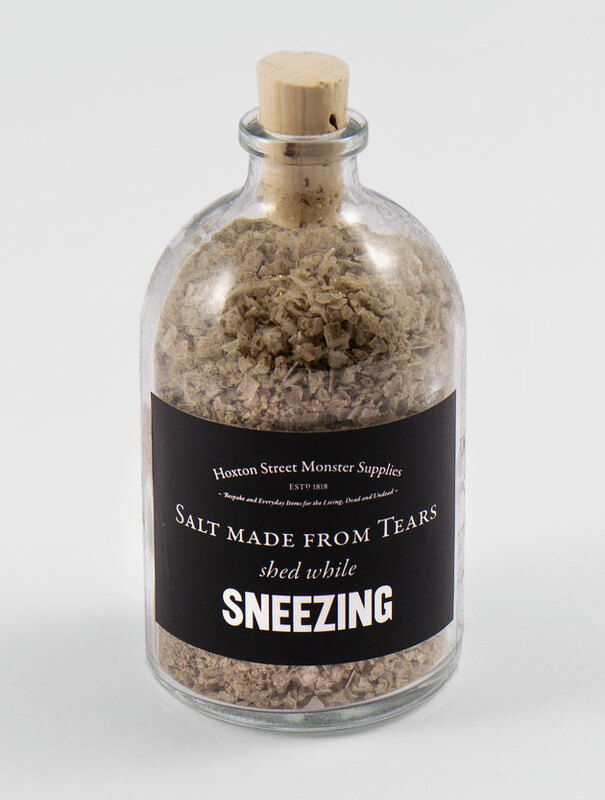 You can pick up salt made from: tears of sorrow, tears shed while sneezing, tears shed while chopping onions, tears of laughter, and tears of anger. 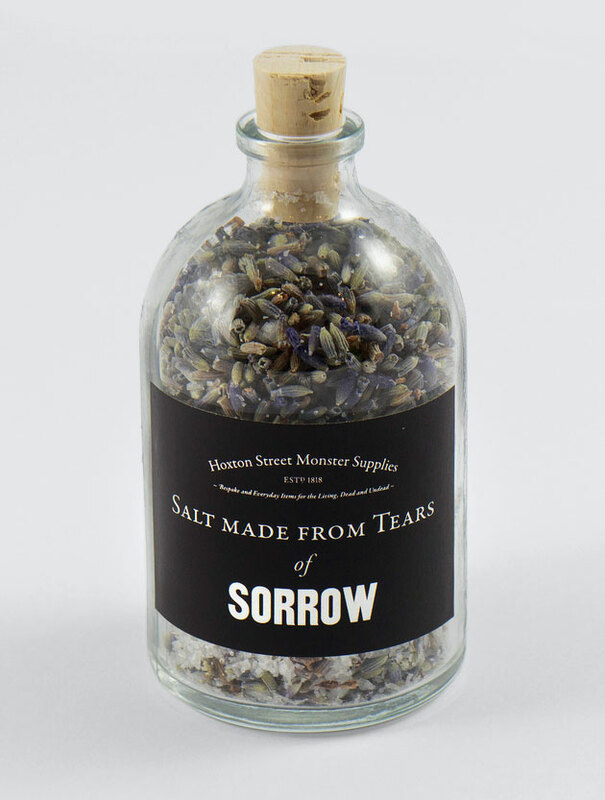 Each has a distinctly different flavour - salt made from tears of sorrow has a delicate lavender flavour, perfect for seasoning limbs and organs. 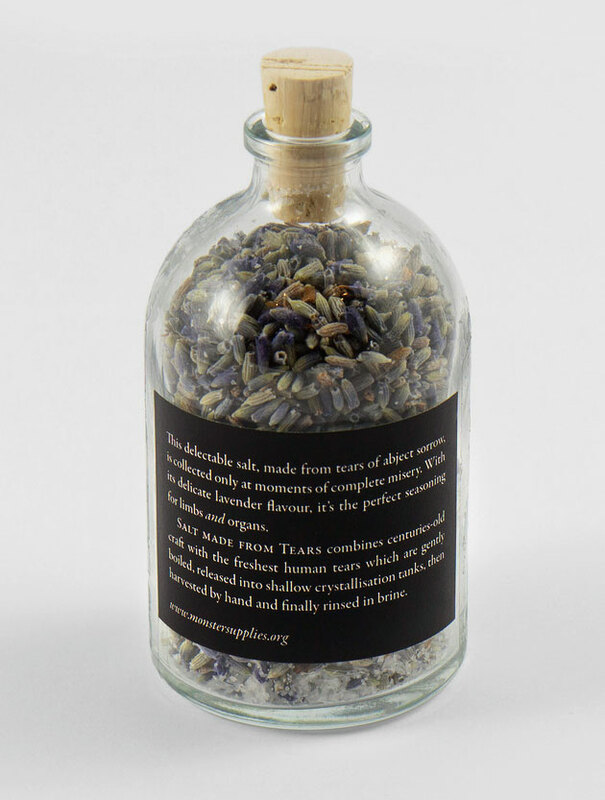 The salts are produced by the fine folk at Halen Mon, and are the brilliant idea of the lovely people at Studio Weave, with additional design by We Made This. 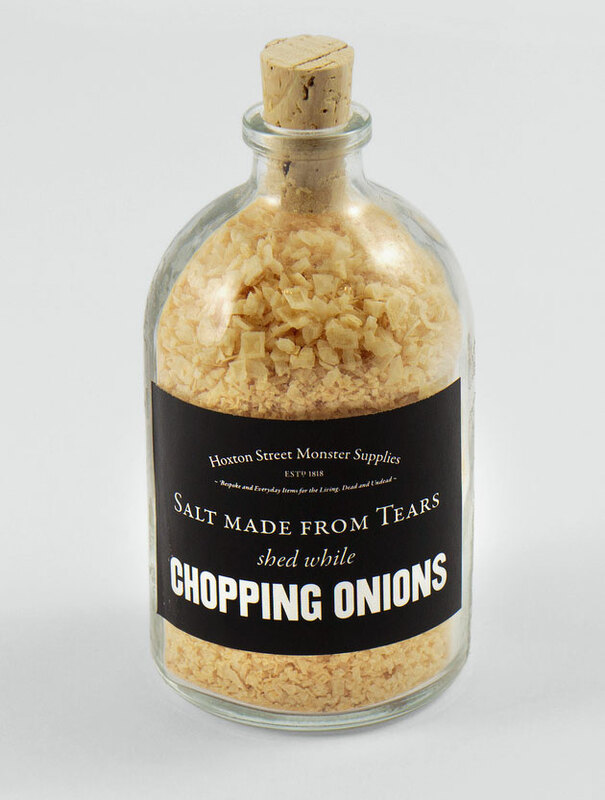 You can buy them in the Hoxton Street Monster Supplies shop, or from their online store, either individually, or as the full range. 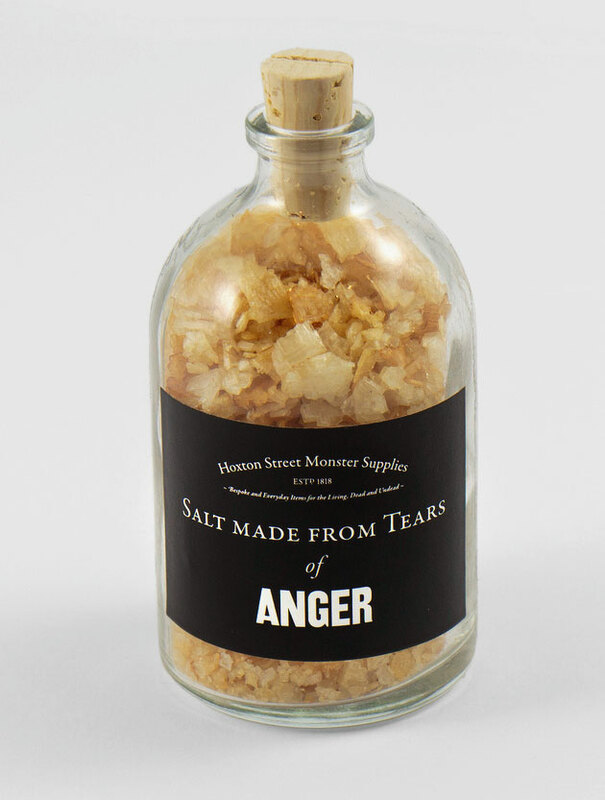 The Salt has been getting good press all over the place, including: Gizmodo, Channel 5's The Wright Stuff, The Independent, the Daily Mail, Uncrate, and the Huffington Post.